Posted byDidier Champion April 18, 2019 Posted inMy Home nation RwandaLeave a comment on Kwibuka25: The President Address to the Nation. 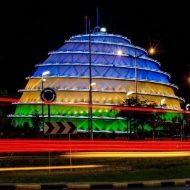 Posted byDidier Champion December 4, 2018 January 31, 2019 Posted inMy Home nation RwandaLeave a comment on The Kings who shaped up the Rwanda of Today. Posted byDidier Champion July 4, 2018 July 4, 2018 Posted inMy Home nation RwandaLeave a comment on What to do about Illegal Immigration from Africa to Europe?